In today's world of software development, most developers are part of a larger process of application definition, design, testing, deployment, and management. 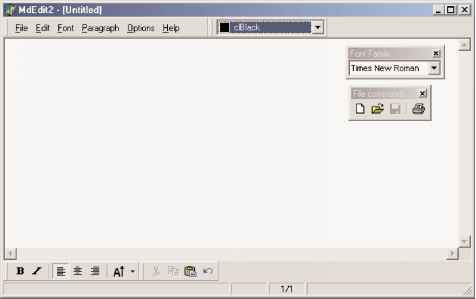 Consistent with Borland's commitment to providing you with the solutions you need to ensure the success of your projects, Delphi 2005 provides tight integration to essential support tools. Depending on the version of Delphi 2005 that you have installed, the IDE provides you with integrated access to StarTeam for superior, team-based asset management, Janeva for access to Enterprise JavaBeans and CORBA servers, ECO for UML model driven development, and Optimizeit for performance profiling. 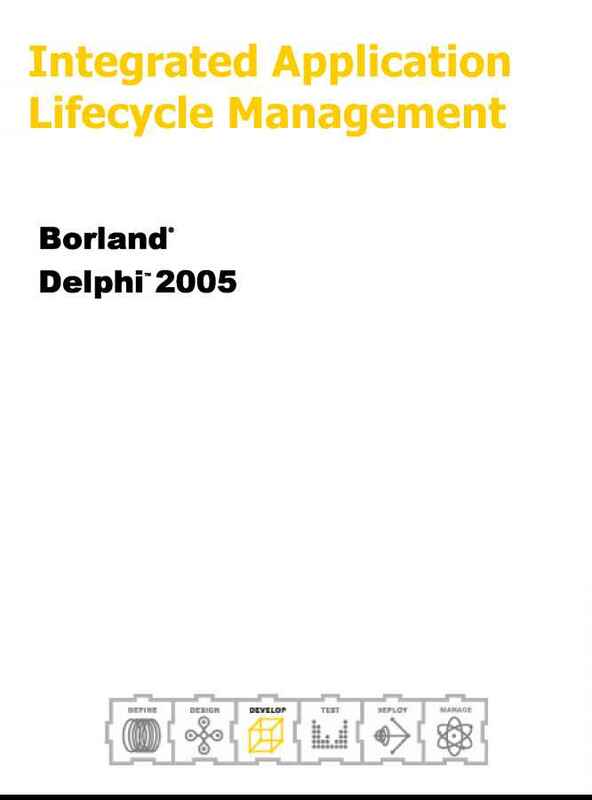 Two of Delphi 2005's application lifecycle management (ALM) solutions deserve particular attention. These are StarTeam and unit testing. These tools are described in the following sections. 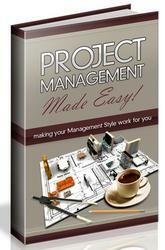 StarTeam is Borland's comprehensive project asset management system. If you are part of a development team, StarTeam provides a highly reliable, server-based system for source code version control, requirements management, defect tracking, threaded discussion groups, and distributed collaboration. Even if you are the sole developer on a project, StarTeam provides you with an indispensable environment for managing every aspect of your applications.